Foshay students earned tickets to participate in an Attendance Lottery for an Apple iPad. 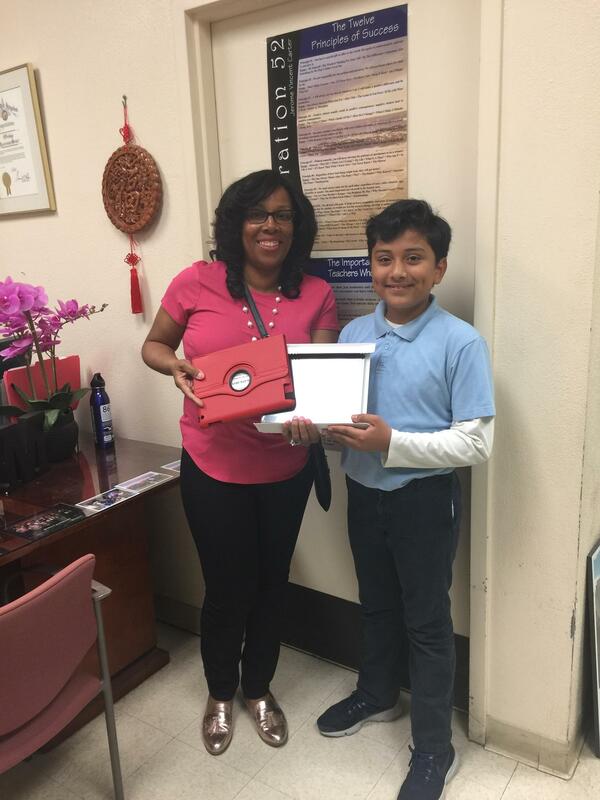 In this photo, Ms. Murray (Foshay's Principal) presents the winner with his new tablet. Congratulations!